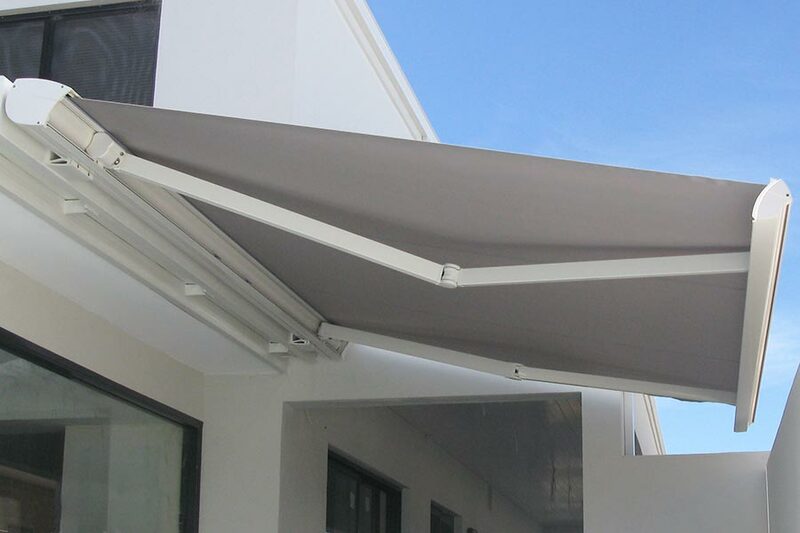 Folding Arm Awnings are perfect at providing large areas of shade to protect alfresco areas, pools and patios from Perth's relentless summer heat. 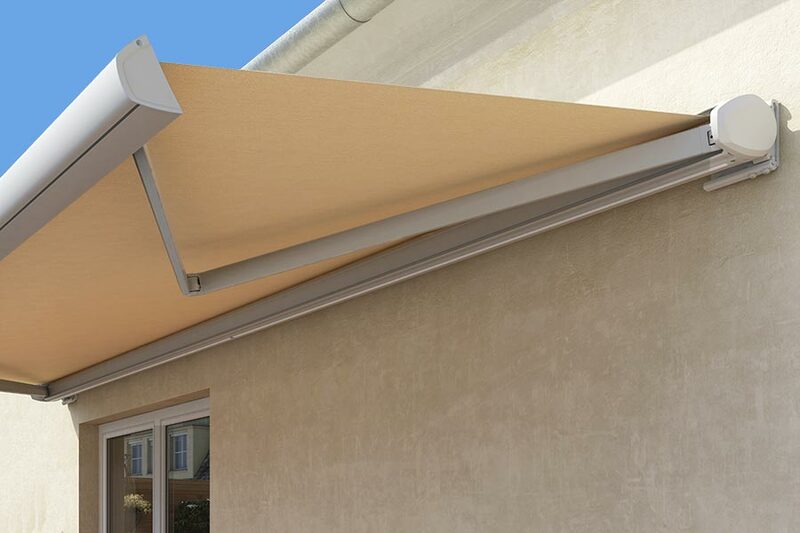 Folding Arm Awnings are a European engineering success and due to the gravity defying design require a high level of manufacturing quality to perform efficiently and provide years of use. With over 25 years of experience working with Folding Arm Awnings, we have very carefully hand picked the finest awnings for both style and longevity, providing many years of trouble free enjoyment for our clients. Tested and proven to well over 70,000 full cycles, the multiflex 4-cable arm system is the strongest of its kind on the market. With daily use this is more than a 200 year life span, ensuring the arms produce the highest level of tensioning whilst still allowing the awning to remain flexible during gusts of wind. Top quality materials including chromatised aluminium and marine grade stainless steel screws, along with precision engineering down to the last detail ensure perfect functionality and durability. Our Cuben Full Cassette Awning offers a streamlined minimalist finish coupled with full protection to the system and fabric when not in use. Without doubt one of the most compact and unobtrusive cassette awnings on the market today. 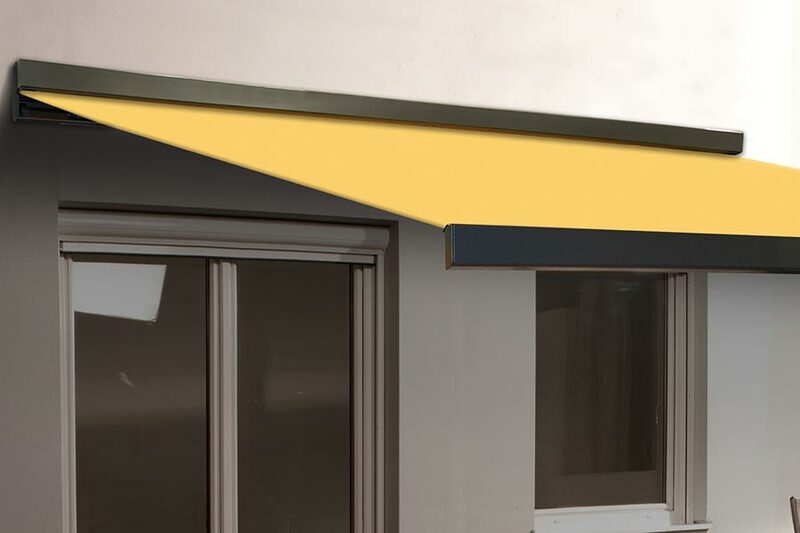 Our Luxus Full Cassette Awning boasts innovative German Technology and stylish Italian design, it perfectly protects the awning fabric and its working parts from the harsh Australian environment with a fully closing cassette. All our Folding Arm Awnings are timeless classics combining both strength and style. Providing the very best solutions in both permanent and retractable awnings, roofs, umbrellas, shade sails and outdoor blinds. Awnings and Umbrella's designed and manufactured in Perth WA, servicing clients all over Australia including Sydney, Melbourne, Adelaide and Brisbane. Contact us to see how we can create a unique solution for your requirements.